What Does the MetaTrader 5 Offer? A full set of technical analysis tools and alerts on breaking financial news. Fundamental analysis based on market news. Powerful algorithmic trading with the built-in MQL5 development toolkit. An unlimited number of charts and one-minute history of quotes. Fully-featured Trade Signals, 30 technical indicators, and 24 analytical objects. A selection of ready-to-use trading applications on the MetaTrader Market. Ability to easily execute netting and perform extensive order-hedging. An advanced alerts system to keep track of all important market events. Amana allows you to stay on track with your trades and quickly place orders anywhere, anytime, by accessing your real or demo account through your mobile or tablet. By using Amana’s MT5 mobile & Tablets platform, you will benefit from the many features the platform has to offer. 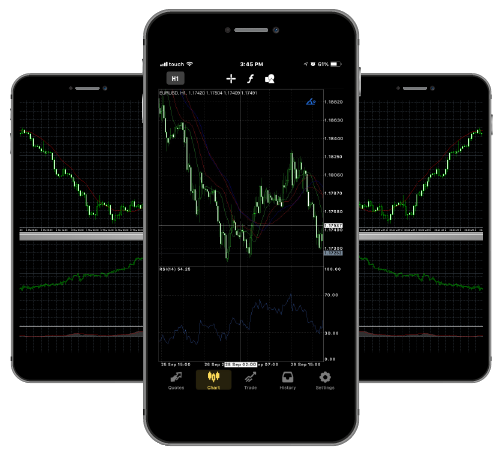 Whether you’re an iOS or Android user, you can download the MetaTrader 5 easily from the stores.